Hooray! I just published my 100th comic. 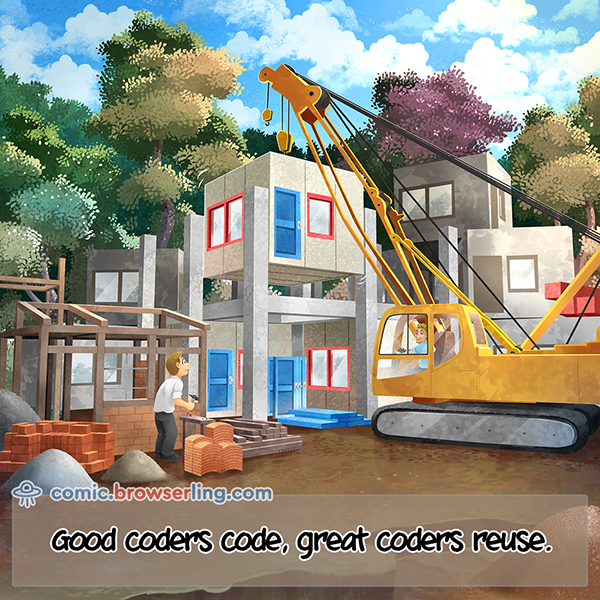 I was thinking super long about what this special 100th comic could be and decided to illustrate my blog's title - good coders code, great coders reuse.